After finding a market ravaged of any quality offers for any players at his position, cornerback Aqib Talib accepted a one year contract to return to the New England Patriots this season. Talib only arrived in New England during last year's regular season, after a trade between the franchise and the Tampa Bay Buccaneers. Although he had his issues in New England also, exclusively with injuries, Talib did enough to win over a fanbase and franchise that was(and still is) desperate for an improved secondary. 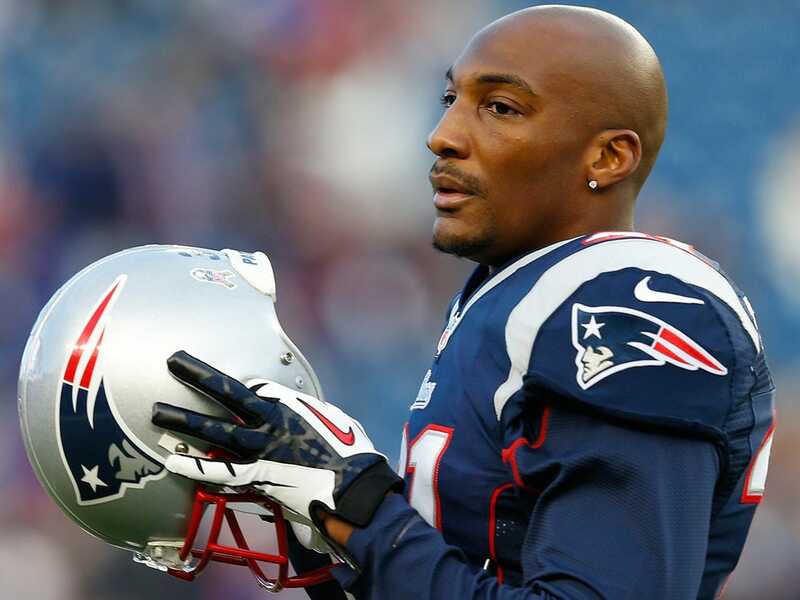 Talib returned to the Patriots within 24 hours of Adrian Wilson arriving. Wilson and Talib round out the expected starting four on the back-end for the Patriots. Fortunately, for the first time in quite some time, that secondary has a strong element of continuity to it. Both starting cornerbacks are returning, Alfonzo Dennard and Talib, while Kyle Arrington was re-signed to a big deal to be the team's nickelback. Although Wilson will slot into the strong safety spot, Devin McCourty should return to be the team's free safety. Matchup ability is vital for a defense that is hoping to play late into January. The signing of Wilson and re-signing of Talib means that the Patriots have two hard-hitting, tough defenders. That toughness has been lacking in recent years and the secondary was exposed against Anquan Boldin because of that during last season's playoffs. Talib wasn't on the field then. With Talib and Wilson providing the toughness and intimidation, Dennard and McCourty offer more flair and coverage ability. McCourty was routinely exposed as a cornerback last season before moving to free safety. However, as soon as he became a free safety, his natural ball skills and ability to read the quarterback allowed him to make plenty of plays without really being exposed. Pairing Wilson with him on the inside gives the Patriots the contrast in styles that most desire. Dennard was a seventh round pick for the Patriots last season who worked his way into the starting lineup. He was never a seventh round talent, but a questionable character and off the field issues caused him to drop through multiple rounds. The Patriots took a chance on him, but those off the field issues have reared their collective head again this off-season. On the field, Dennard was excellent in coverage and provides the Patriots with a cover cornerback who can run with receivers down the sideline and stick to them going across the middle. Re-signing or replacing Talib was always a top priority for the Patriots this off-season. Re-signing him to a one-year deal is likely the best scenario the team could have hoped for. In a perfect world, Talib will stay healthy all season and play a key role in the road to a Super Bowl victory. However, the possibility of Talib being suspended or injured is much higher than most players if you go by his track record. Should that happen, at the very least the Patriots won't be locked into a long-term deal with the at times troubled defender.